a Class*y Collaboration: Reading A-Z Differentiated Close Reading Packs! Hi everyone! My name is Jenny and I am so thrilled to be a new contributor for A Class*y Collaboration! 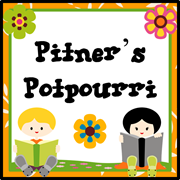 I am a reading specialist for grades 2-6 near Cincinnati, Ohio, and I blog at Luckeyfrog's Lilypad. 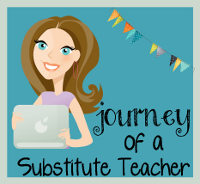 My blog focuses on tips for new teachers, organizational strategies, and integrating science and social studies content into literacy learning. One of my favorite literacy resources is a subscription to Reading A-Z. I do love the mini-books- particularly because they come completely ready, with lesson plans, and often pages for word work and comprehension practice. They are wonderful for both a typical guided reading lesson, or for quick sub plans that are still high quality- and I can print as many as I need! The pack comes with four differentiated passages that all help to answer this question. As I told my class, we were researching. We were investigating! And by using differentiated packs, I was able to give each group an interesting passage that they could read well and be the “expert” on for the rest of the class! After our introduction, I sent each group around the room to read and highlight the information they found that might help answer the central question. The passages are one page, front and back, with photographs for non-fiction. The close reading packs even have one connecting mid-level passage that can be projected and read together for modeling. If you’ve never tried out Reading A-Z, they do have a short-term free trial :) I think the subscription is worth every penny, though- and I can’t wait to try more of these passages! Thanks for reading- I’m so excited to be joining the talented bloggers here at A Class*y Collaboration! I LOVE A-Z! Thanks for sharing all of this great information! I also love Reading A-Z; such a great resource! Reading A-Z is wonderful. I recently renewed my subscription. I hadn't yet found these passages Thanks for the heads up!!!! I really appreciate the post. Our school just subscribed to Reading -Z.